Have you been to the bank recently? If you’ve been visiting your local businesses you may have seen digital signage. Businesses with physical locations are starting to use digital signage in most cases. Banks, hotels, hospitals, universities and other businesses are using digital signage for various reasons, but each sign or display aims to get visitors to convert in some way. Businesses like the flexibility digital signage offers. Instead of creating a new print piece for their business every time they want to market differently the business can simply have a designer create a new design for the display that’s already in place. Designers are needed to create the digital signs or digital displays. Business owners are starting to see displays in other shops and offices around town and they want a display for their location, but the owners have no idea who provides digital signage. 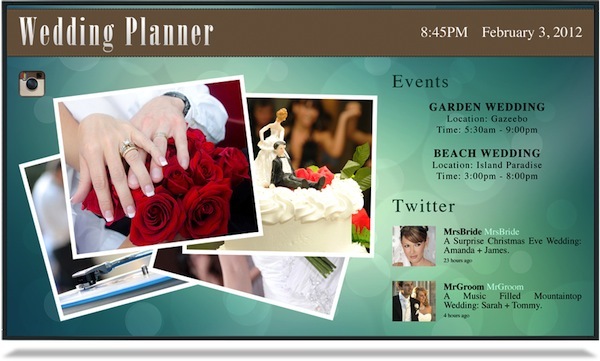 As a designer, you can offer digital signage and increase your revenue streams. You can partner with companies that install monitors. That part is pretty easy. Digital display design is actually pretty similar to web design too. Since you already have the skills to create great web design you already have everything you need to get started with digital signage design. 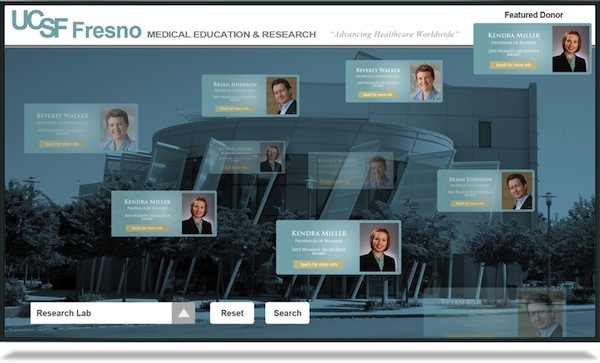 If you already have clients in mind for digital signage then you’re all set. Just remember that digital signage is about getting visitors to convert in some way. Here are some tips for designing digital signage that converts. Think back to the last time you visited the dentist office. Hopefully it wasn’t too long ago. It’s a great feeling to have your teeth cleaned, but nobody likes sitting in a chair for an hour getting their teeth scraped and their gums poked. Anyway, at the dentist office you probably spent some time in the waiting room. For probably 15 to 20 minutes you sat there. Maybe there was a TV playing a rerun of Friends or maybe some Spongebob for the kids that were waiting. What may have been there on a different monitor was digital signage. 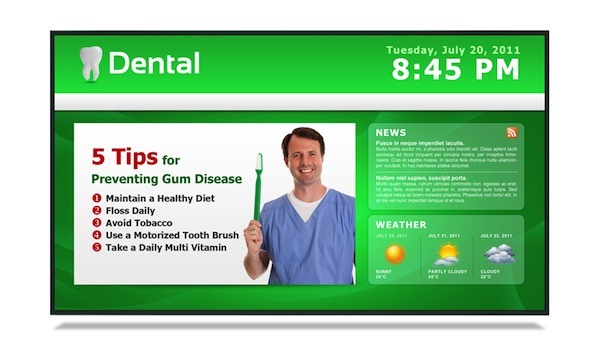 Dentist offices can use digital signage to sell new services. 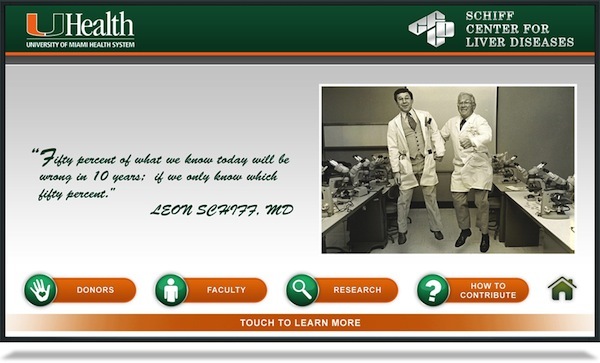 A digital display in this setting could be used to get patients interested in new services. Since you were already sitting and waiting it would be relatively easy to get your attention. You could either watch TV, read a magazine or watch the other patients. If the dentist office was smart, though, they would install some digital signage aimed at getting your attention and getting you interested in something like teeth whitening. By the time you were called back to the dentist chair you would be interested in the service. The hygienist would ask you about the whitening and if you were interested you would have them do the procedure right there. It’s a conversion for the dentist and a service you’ll be happy with as a patient. That’s how digital signage can convert. Here are more details about the process. The first goal of digital signage is to get the attention of the visitors to the business location. This is perhaps the most difficult task. For the most part digital design is similar to web design. One main difference is the context in which a person views the digital display. For web design, viewers are sitting at their computer with purpose. 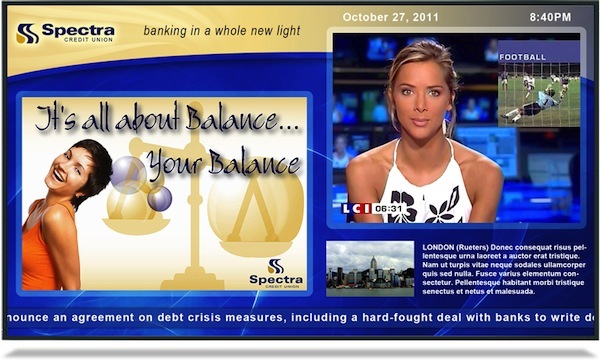 For digital signage, a viewer has many distractions. It’s important for the designer to understand the background surrounding the monitor. As you work with a business on the design make sure you use colors that contrast the surroundings. You want people to notice the display out of the corner of their eye. Color is one way to get this attention. Other ways to get attention including photos and moving objects. Notice how the people have stopped to pay attention to these displays. Photography is a great visual. People are naturally drawn to photos of all kinds. If the business you are working with has photography you should use it if it makes sense. For some reason people like to stop and look at interesting photos. Moving objects could be video or even feeds from the Internet. Video could be live television. You can tap into a feed from the web or use the local cable or satellite hookup. Video will get people to stop. Feeds from the Internet like Twitter, Facebook or an RSS feed from a news sites can be used for moving objects. For a bank you might include Twitter feeds on the display for the hashtag #Money or #Investing. The latest tweets would be displayed for visitors to see. There are many options for getting attention. It’s the first step toward conversion. Once you have a visitor’s attention the next goal is to get them interested. You should start your digital design with a goal in mind. Maybe the goal is get a sale or lead for a new product offering. Remember the whitening service mentioned above. The display could have some basic information about the product. 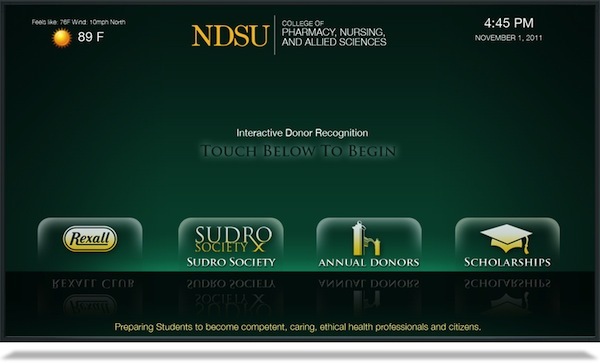 Some displays can be touchscreen interactive allowing a visitor to use the display to dig deeper into the information. This content all works to get the visitor interested in the business and the product. It’s about building interest once you have a person’s attention. As a person views the information a trust will be built. If the information is useful and the voice is helpful the visitor will feel a trust with the brand. That is important because people like to purchase from people they trust. Once that trust is there it becomes easier to make a sale. Next, it’s time to get that conversion. Conversion is a process. We touched on the first two general areas of the process and now it comes time to ask for the sale. In the case of the dentist office the goal was to get a patient interested in the whitening service. In order for the digital display to accomplish this task there needs to be a call to action. On the display a button or call-out that says Ask you hygienist about our whitening service might be enough to get a conversion. A QR code is a great way to get people to take action. In fact, that’s the conversion right there. The act of getting a patient to ask the hygienist about the service is the conversion. From there the sale is made. 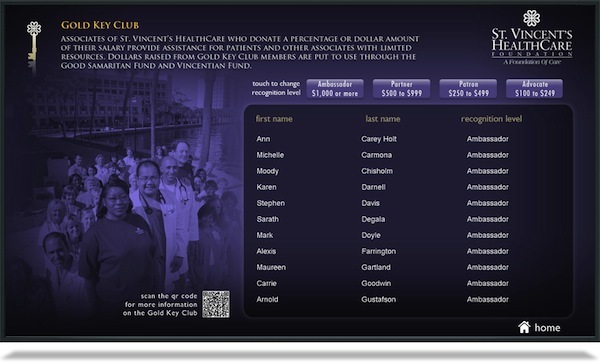 If you start working with clients for their digital signage projects focus on the call to action. It’s the last part you need on the page, but you need to have in order for the customer to convert and take action. Also, don’t lose focus on the long-term relationship of the customer and the business. You want conversion to happen, but you aren’t looking to do it in a way that’s tricky or confusing. You want there to be long-term satisfaction for the business and customer. A one-time conversion is not always what you’re looking for and it’s certainly not what businesses want. 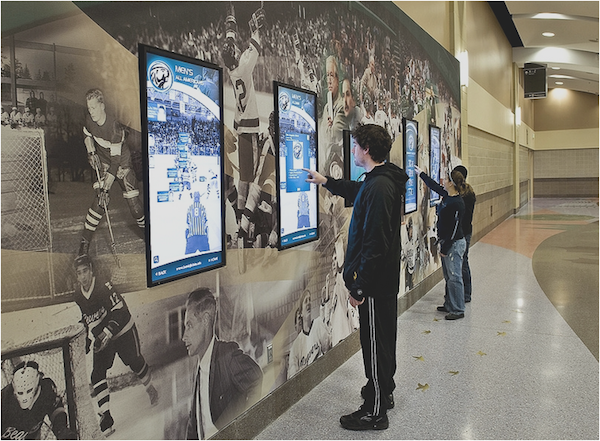 For your inspiration here are some more examples of digital signage that converts. Todd Hemme has written 1 post on web design mash.